After a successful 2018, Bigbuzz has been named in the nation's top 10 best advertising agencies 2019. 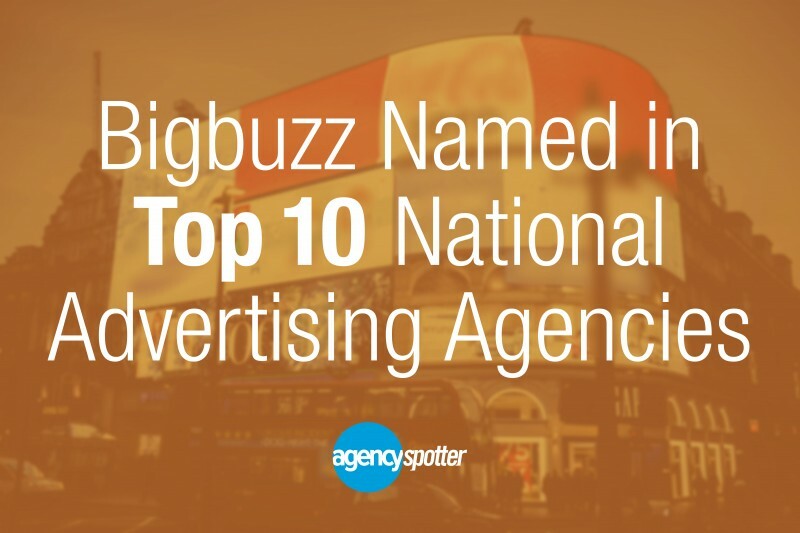 Bigbuzz was recognized in Agency Spotter's Top 30 Report, released this January. Agency Spotter evaluated over 2,300 agencies based on competitive portfolio, production, focus, expertise, client reviews and more. We are proud to continue providing our client-partners with industry best work.